Happy Thursday! 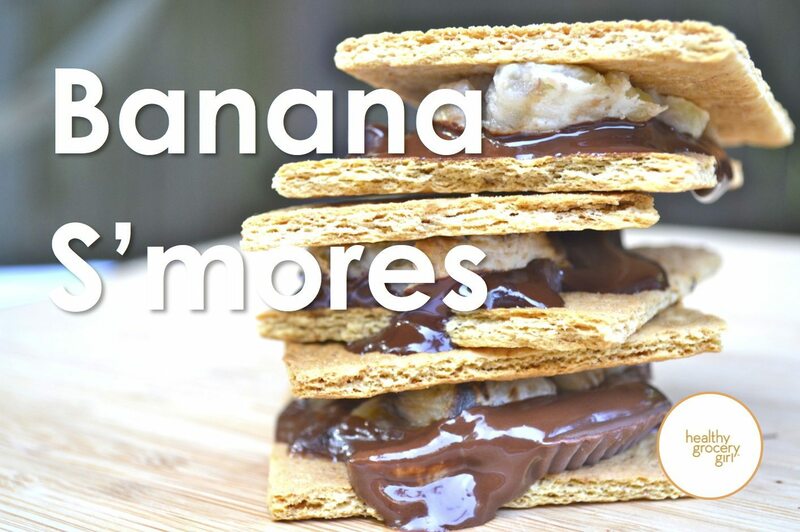 Today I am sharing how to make Banana S’mores. I have been making this fun recipe for many summer’s now, and it’s ALWAYS a hit!! So of course, I must share it with you! I also demonstrate step-by-step how to make this recipe in today’s episode of the Healthy Grocery Girl Show. Watch and enjoy! You know what is even better than a s'more? A BANANA s'more! Slice banana into marshmallow size pieces. Place on a skewer and roast over the campfire until toasty and warm. It's okay if your banana's do not turn out golden brown! 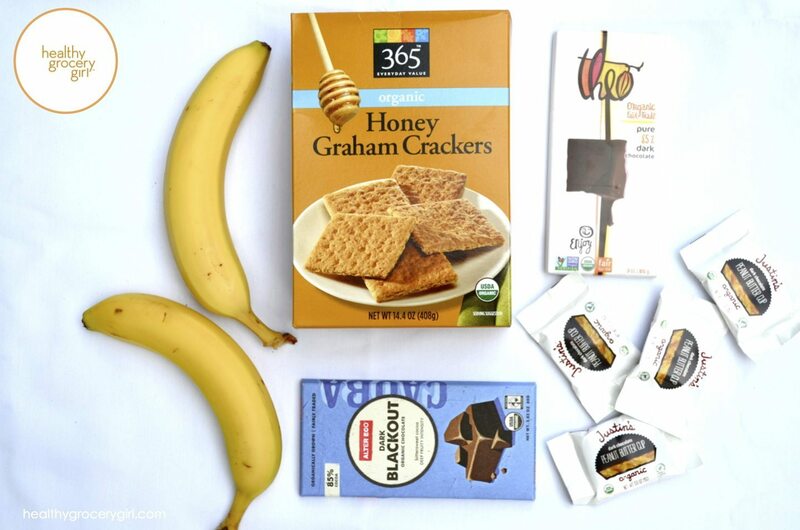 Break graham cracker into two equal squares, place chocolate, roasted banana and top with with the second half of the graham cracker. Press down until chocolate begins to melt. Enjoy! For this recipe I used Whole Foods 365 USDA Organic Graham Crackers. They are not vegan (they contain honey), however they are Organic. I also love dark chocolate from Theo, Alter Eco and Justin's Dark Chocolate Peanut Butter Cups!